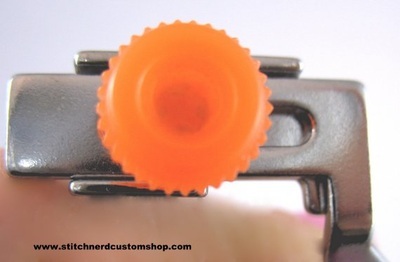 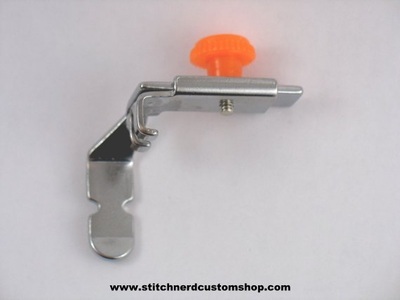 Adjustable Zipper Foot, a must-have for sewing in professional looking zippers. 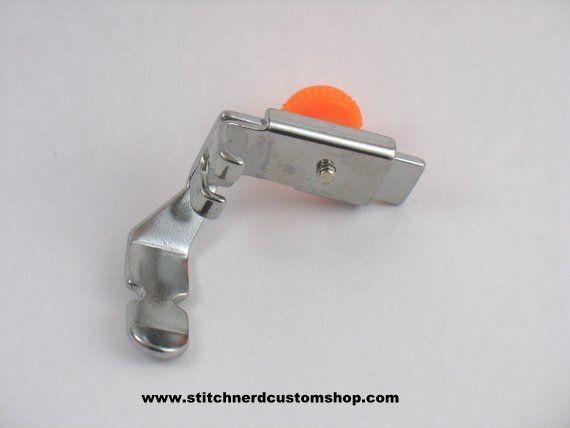 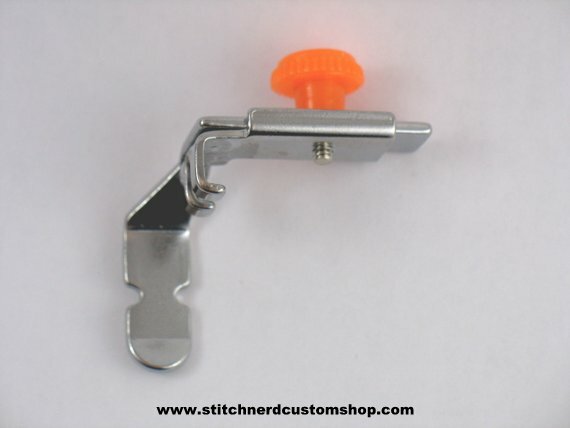 Foot is designed for home sewing machines and is very easy to install and use. Just turn the orange knob in the back of the foot to position it in place.